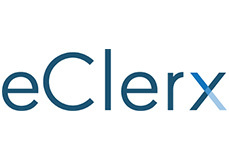 Avendus Capital advises eClerx on its acquisition of Agilyst. eClerx Services Limited (“eClerx”) (NSE: ECLERX), a leading provider of Knowledge Process Outsourcing (KPO) services, has acquired Agilyst Inc. (“Agilyst”), a closely held US based KPO company. eClerx acquired Agilyst through its overseas subsidiary eClerx Investments Ltd. Agilyst is a niche pure play back office operational and analytics Company focused on the North American media Industry. It was founded in 2007 and employs approximately 1,000 people, most of them in India. Agilyst's services include critical error identification, customer experience analysis & end user support services. Agilyst has a low cost delivery base in a Tier-2 Indian city. With this acquisition, eClerx gains a strong foothold in the US media industry, diversifies the revenue base by addition of large Fortune 100 clients and brings on board a strong delivery team in a Tier-2 Indian location with attractive talent pool and cost structures. The consideration for the acquisition is all cash and includes a substantial earn out component based on Agilyst's future performance. The transaction is to be funded from eClerx's internal resources. The management team of Agilyst will continue to manage day-to-day operations. Puneet Shivam, Head, US at Avendus Capital, Inc stated, “The media industry in North America offers significant growth potential for KPO services, with less than 10% leveraging global outsourcing potential currently. The combination of Agilyst’s domain expertise and eClerx’s established delivery prowess for KPO services catapults the combined entity into a leadership position for this category“. Avendus Capital was the exclusive financial and strategic advisor to eClerx for this transaction. eClerx Services Limited (NSE: ECLERX) is a Knowledge Process Outsourcing (KPO) Company providing Data Analytics and Customized Process Solutions to global enterprise clients. eClerx supports core and complex activities for its clients using proprietary processes and a scalable offshore delivery model. The Company supports critical processes for more than 50 clients, including 20+ Fortune 500 companies. These clients include global leaders in Financial Services, Manufacturing, Retail, Media, Travel and Hospitality. eClerx currently employs more than 4,000 people across five state-of-the-art delivery centres in India. The Company has sales and marketing set-up across Europe, North America and Singapore. Agilyst, based in Philadelphia (US) and Chandigarh (India), was founded in 2007 and currently employs approximately 1,000 people. It is a niche pure play office operational and analytics company focused on the North American media Industry – enabling improved profitability & reduction in customer churn. Its services include critical error identification, customer experience analysis and end user support services. Avendus Capital is a leading financial services firm which together with its group companies provides customised solutions in the areas of financial advisory, equity capital markets, alternative asset management and wealth management. Avendus Securities through its Institutional Equities practice is able to offer clients best-in-class research-driven advice to help them take investment decisions, while Avendus PE Investment Advisors manages funds raised from its investors by investing in public markets. The Group relies on its extensive track record, in-depth domain understanding and knowledge of the economic and regulatory environment, to offer research based solutions to its clients that include institutional investors, corporates and high net worth families. Avendus Capital has consistently been ranked among the top-five corporate finance advisors in India and has emerged as the advisor of choice for cross-border M&A deals and has closed 40 cross-border transactions in the past 4 years. Headquartered in Mumbai, the firm has offices in New Delhi and Bangalore. Avendus Capital, Inc (US) and Avendus Capital (UK) Pvt. Ltd. located in New York and London, respectively, are wholly owned subsidiaries offering M&A and Private Equity syndication services to clients in the respective regions.